Filipino K-Pop Fans will get a chance to meet their fave & fab K-POP Stars only if they “demand” it. To celebrate the 60th anniversary of the Philippines-Republic of Korea Diplomatic Relations, the Korean embassy is holding a cultural festival November this year. The festival will also cap year 2009 as the “Philippines-Republic of Korea Friendship Year,” as stated by Proclamation No. 14298 signed by Pres. Gloria Macapagal-Arroyo last May 2008. Kiejoo Kim, Counselor for the Korean Embassy in the Philippines, said his Embassy is planning to bring Korean performers to the country. And He quickly added that the plan can push through easily if Pinoys loudly voice out their demand, using surveys, blogs, signature drives, and other platforms. He said, “I think if there is a certain, a great number of audience, I think that should be a very convincing rationale that we really have to bring them here”. So what are we waiting for? Calling all FILIPINO K-POP FANS let our voice be heard! Let us make a petition or signature drives so that we can bring our fave K-POP stars here in Manila, Philippines! “Ano pang hinihintay natin? simulan na natin ngaun!! If you have noticed, KOREAN WAVE is in the air!! Korean songs from Wonder Girls, 2NE1, Big Bang, TVXQ and Super Junior are repeatedly played in different radio stations and shown in special episodes of t.v shows in GMA and ABS-CBN. And just recently, Kim Bum of Boys Over Flowers came to Manila, Philippines and guested on different shows of ABS-CBN and even shoot a commercial of RC COLA drink w/ Maja Salvador. So it’s really possible for Korean Pop Stars like 2NE1, Big Bang or Super Junior to come here in Manila and held a concert. P.S. If you guys are interested in this article, please comment! Thanks! Who’s the hottest K-POP star? Calling all K-POP fans! Who do you think is the hottest K-Pop Artist in Asia and U.S? Tell me! Vote Now! Are you a fan of Big Bang? Are you a fan of Big Bang? If yes, then tell me why do you like them! Big Bang group is so famous in Korea and I’ve fell in love with them so easy! I love their songs, their style, their moves…ahhhh… I love every piece of them!! I hope Big Bang will someday extend their activities not just in Korea and Japan but all over asia..I really want to see and meet them personally…Ah..sigh…Seung-Ri is really cute, G-Dragon’s is a certified fashion icon, TOP’s so hot, Tae-Yang’s tame face makes me fall in love w/ him more and Dae-Sung has a cool style and cute eyes …..
YB is so darn hot!! He’s solo concert in Seoul Melon AX last 20th of July was a huge success!! 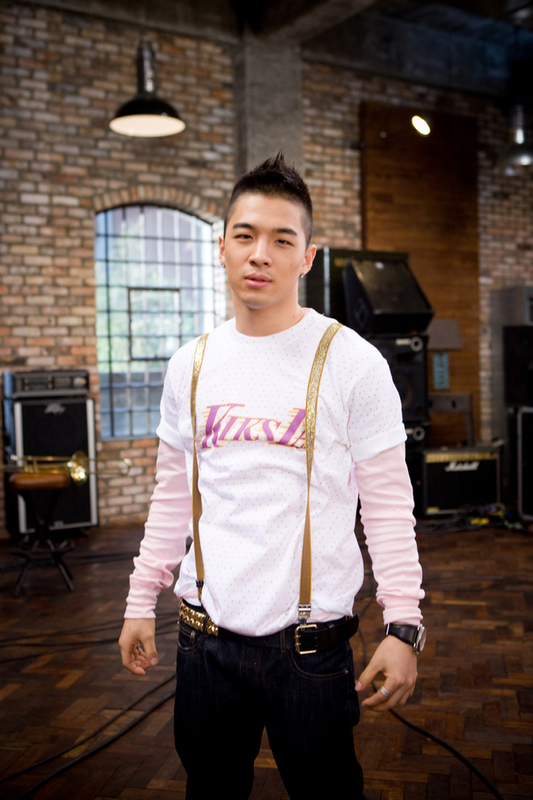 TaeYang released his solo album “Hot” and many girls are going crazy at him especially me! haha!! “sigh” I wish I could meet Tae-Yang…he’s so hot like T.O.P and the rest of his fellow BIG BANG members. More success to Big Bang!! I heard they will have a new album that will be released this August…let’s wait for that!! T.O.P, G-Dragon, Dae-Sung, Tae-Yang and Seung-Ri rocks! !